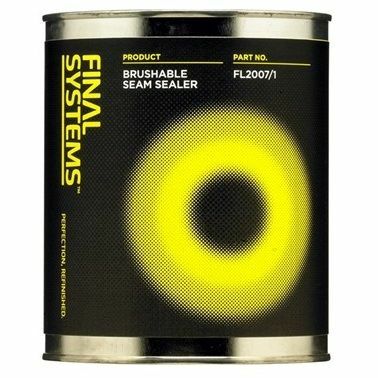 Fast drying sealant for car repair that can be applied by brush or spreader. Used for protection of welding, joints and coating of metal parts. It is thixotropic which stops sagging when vertically applied. Very good adhesion on raw or painted metals. Once cured, the film is flexible.